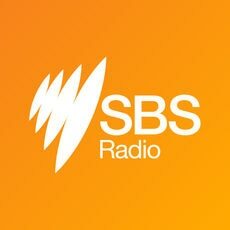 SBS Radio presents the SBS National Languages Competition 2018 to encourage and celebrate a love of learning languages in Australia. 1. What is the SBS National Languages Competition? The SBS National Languages Competition 2018 is an exciting initiative to encourage and celebrate a love of learning languages in Australia. It’s a nationwide competition to engage all Australians and reflect on the cultural, linguistic and ethnic diversity of Australia’s multicultural society. For the first time, this year’s competition is open to Australians of all ages who are learning a language, including those learning English. 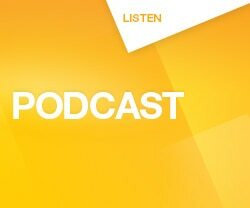 As the world’s most multicultural and multilingual broadcaster, SBS Radio is proud to run this fantastic competition to encourage Australians to explore and celebrate what it is to be an Australian. It celebrates diversity and contributes to the social inclusion and cross-cultural understanding of all Australians - linguistically, sociologically and culturally. It comes from the heart of SBS and speaks to our purpose of inspiring Australians to explore and celebrate diversity. Sunday 18 November 2018 (AEST). Given the diversity of ages and skills, we encourage parents, guardians and school teachers to guide younger entrants where needed, in uploading their photo and filling out an entry form. For Entrants under 18, parents or guardians should tick the box to indicate they have read the Terms & Conditions for the competition. Entry is open from 9:00am on Monday 15 October 2018 (AEST) until 11:59pm on Sunday 18 November 2018 (AEST). There can only be one submission per entrant. Group entries are accepted. Step 2: Click ‘Upload Your Photo’. 6. What do participants win? Winners will also be invited to attend the SBS National Languages Competition award ceremony at SBS headquarters in Sydney to be held in December 2018. Selected winners who do not reside in NSW at the time of the above award ceremony will receive return airfares (for them and a parent/ guardian) from their capital city and one night’s accommodation in Sydney to attend the ceremony. Some thought starters on your entry: What do you like about the language that you’re learning? Why did you decide to learn this language? thousand words and your photo entry could tell us that amazing story! are learning as well as in English. Try to keep the English translation as accurate as possible. Entering the competition is possible from any device - computer, mobile or iPad. Have you filled out all sections of the entry form? 8. How is the SBS National Languages Competition judged? Winning entries will be chosen for their uniqueness and creativity on both the photo or drawing and the caption. Caption must be written in language as well as an English translation (not required for English learners). If the entry does not meet the required criteria or in any manner promotes content that is disrespectful, we may choose to disqualify the entry. Please read the Terms and Conditions carefully. 9. When will winners be announced? One winner will be nominated from each age category, in total there will be five winners of the SBS National Languages Competition. Winners will be notified by email or phone in November 2018. SBS National Languages Competition is open from 09:00am on Monday 15 October 2018 (AEST) until 11.59pm on Sunday 18 November 2018 (AEST). We need your support to make the SBS National Languages Competition a huge success! Please also share print-outs of the posters and FAQs documents with language teachers, parents and guardians. Do you have a school newsletter that you can promote the competition in? We’d be happy to help schools with written copy and images needed as per requirement.